Stephen is a Partner in the Financial Services Litigation team. He specialises in professional negligence disputes involving financial product mis-selling and investment mis-management, commercial disputes between financial services firms, regulatory disputes (for example claims by the FSA alleging unauthorised activity). Stephen also acts in pensions disputes (with particular expertise in ill-health retirement matters). He works with private clients, financial advisers, networks and pension trustees. Stephen trained with Clarke Willmott and now has many years’ experience following his qualification in March 2003. Stephen has the Chartered Insurance Institute (CII) Certificate in Financial Planning and is studying for the higher level Diploma. Stephen is a member of the Chartered Insurance Institute, the Personal Finance Society and the Association of Pensions Lawyers. Acting for numerous private clients in claims against Equitable Life, both individually and within the context of group actions. Stephen managed 12 such claims within a ‘managed list’ in the Bristol Mercantile court. Acting for private individuals in a wide variety of professional negligence actions, before the courts and the FOS, relating to advice provided on pensions, annuities, investment funds and other collective investment schemes etc. Claims relating to the powers and jurisdiction of the Financial Ombudsman Service. Stephen acted in the linked cases of Bunney v Burns Anderson and Cahill v Timothy James, on the subject of how the FOS’ monetary cap applies to directions. Defending financial advisers and networks from mis-selling claims relating to pensions mis-selling, endowment mortgage, Arch Cru, Keydata and others. 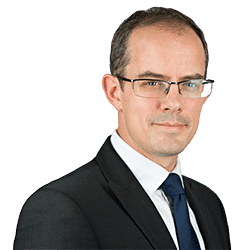 Defending a private individual from a claim by the FSA alleging his unauthorised involvement in a circa £7million unregulated collective investment scheme and a consequent breach of the general prohibition. Ill-health retirement claims. Stephen acted in the case of Spreadborough v Wandsworth London Borough Counsel. Recovery actions for the FSCS.